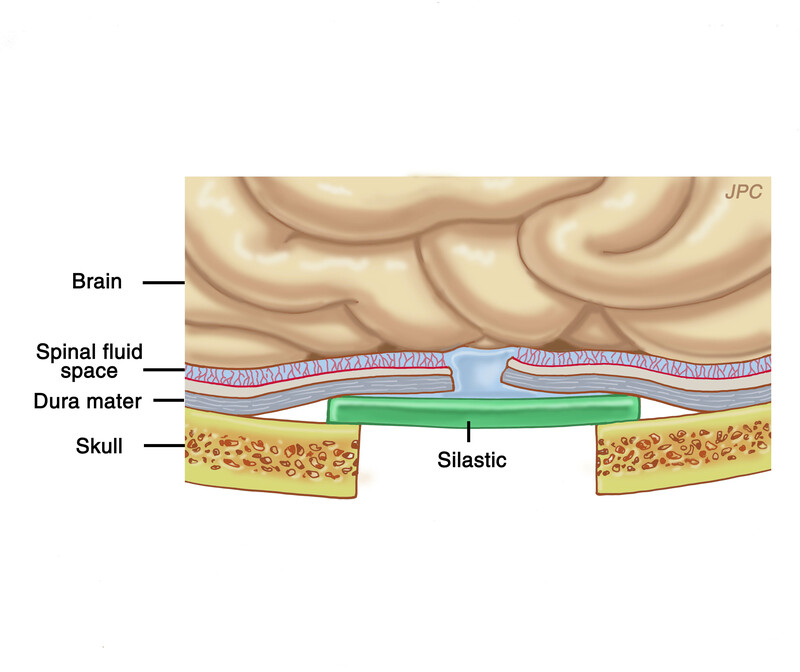 An encephalocele is a region of herniated brain. The term meningocele refers to herniated dura (covering of the brain). Surgery to repair the encephalocele or meningocele is imperative in order to avoid complications such as meningitis and brain abscess. 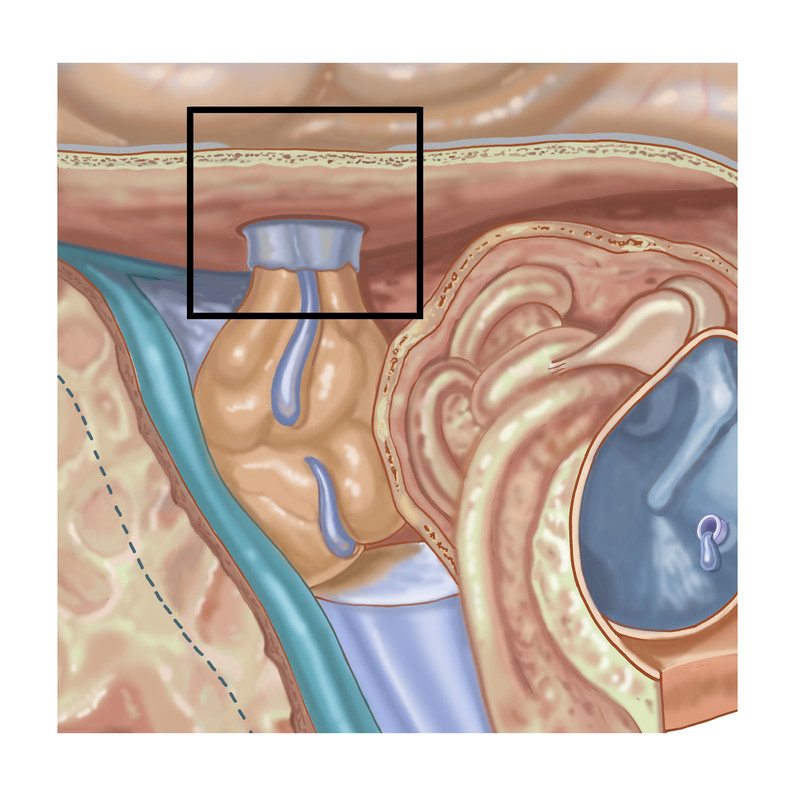 A portion of brain has herniated through the temporal bone and dura into the middle ear. The next illustration is a zoomed-in version of the area outlined by the black box. Dr. Sanjay Prasad MD FACS is a board certified physician and surgeon with over twenty years of sub-specialty experience in Otology, Neurotology, advanced head and neck oncologic surgery, and cranial base surgery. He is chief surgeon and founder of the private practice, Metropolitan NeuroEar Group, located in the metropolitan Washington D.C. area. Learn how Metropolitan NeuroEar Group gives back to the community through numerous philanthropic efforts.